For decades, policymakers and suicide prevention advocates have questioned whether exposure to media with suicide themes — whether television, movies or music — could increase suicide risk among youth, according to Chris Ferguson, Ph.D., professor of psychology at Stetson University. “To date, no clear picture has emerged,” Ferguson said in his paper, “13 Reasons Why Not: A Methodological and Meta-Analytic Review of Evidence Regarding Suicide Contagion by Fictional Media.” “Suicide contagion” is the idea that exposure to suicidal behaviors can result in an increase in suicide. Ferguson’s paper is published in Wiley Online Library’s journal Suicide and Life-Threatening Behavior. Ferguson examined suicide evidence by fictional media with a methodological and meta-analytic review for his article. Results suggest that current survey data does not support the theory that fictional media influences suicidal behavior. Suicide rates have increased significantly among children and teens. 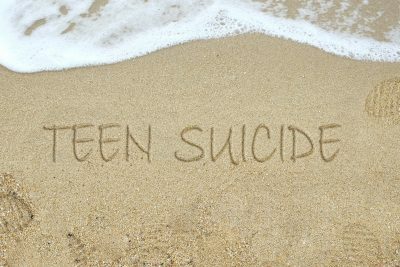 According to a 2018 CDC report, suicide rates among those aged 10-19 years rose 56 percent between 2007 and 2016. Emergency department data also shows an increase in visits for nonfatal self-harm, known to be a precursor to suicidal behavior. The report shows that the incidence of suicide in 2016 was 6.1 per 100,000 population, up from 3.9 per 100,000 in 2007. Suicide rates have gone up for most age categories, however, not just teens. The National Alliance on Mental Illness states that suicide is often the result of an undiagnosed and untreated mental illness. Addressing mental health needs of children and teens can help prevent suicides from occurring. The National Institute of Mental Health and CDC claims that 13 percent of children ages 8-15 experience a mental health condition, 50 percent of all lifetime mental health cases begin at age 14, and 50 percent of children ages 8-15 experience a mental health condition and do not receive treatment. Suicide risk factors, according to the National Suicide Prevention Lifeline, include mental illness, alcohol and other substance abuse disorders, hopelessness, impulsive and/or aggressive tendencies, history of trauma or abuse, previous suicide attempts, family history of suicide, loss of relationship(s), lack of social support, a sense of isolation and a stigma with asking for help. Ferguson, who is well known for his research on the effects of video game violence, received his doctorate in clinical psychology from the University of Central Florida. His clinical background includes working with offender and juvenile justice populations as well as conducting evaluations for child protective services.